What are the options for the event home screen? There are two options for your Event Home screen - the Event Social Feed or About Page. 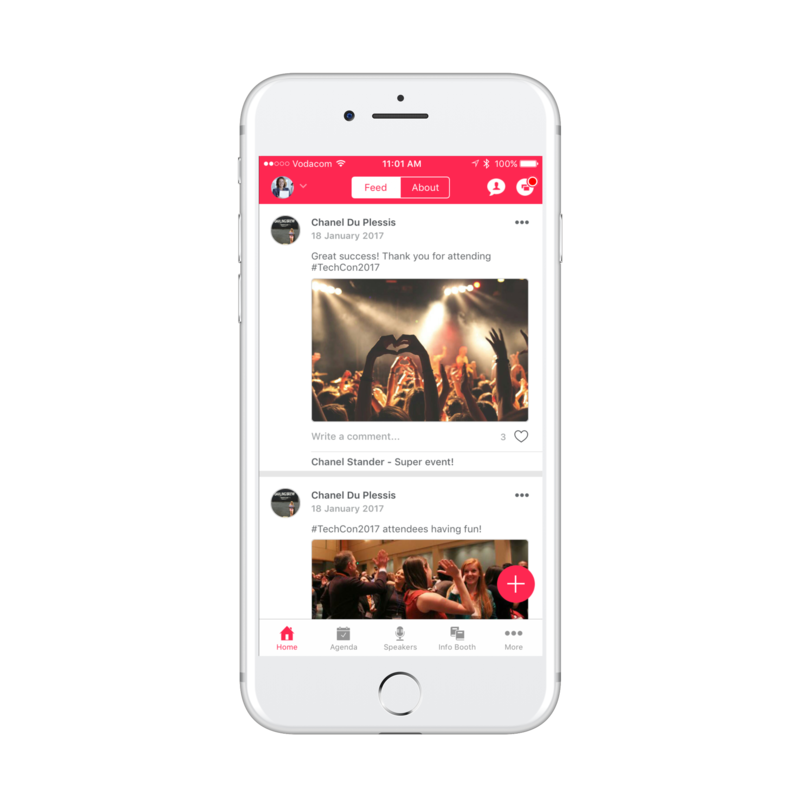 The Event Social Feed allows you to display attendees social content in real time at your event, it is like a Facebook feed but completely private to your event. Your attendees can share updates, post photo’s and comment on updates they like. 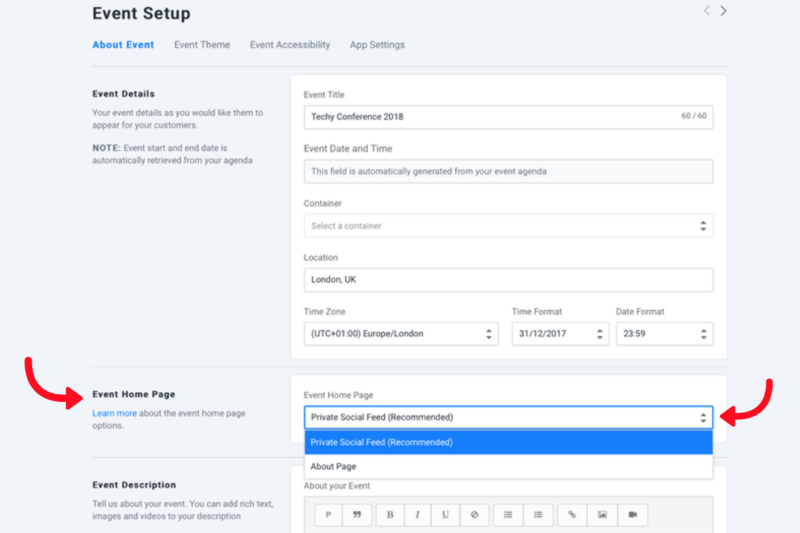 Should you choose not to include the Event Social Feed, the home page will be an About page of the event - this will include event description with text, images and/or video. Your event home page can be selected from the Event Setup Page > About Event.